We have 5 New Years Resolution Ideas that you can actually stick to and accomplish this coming year. 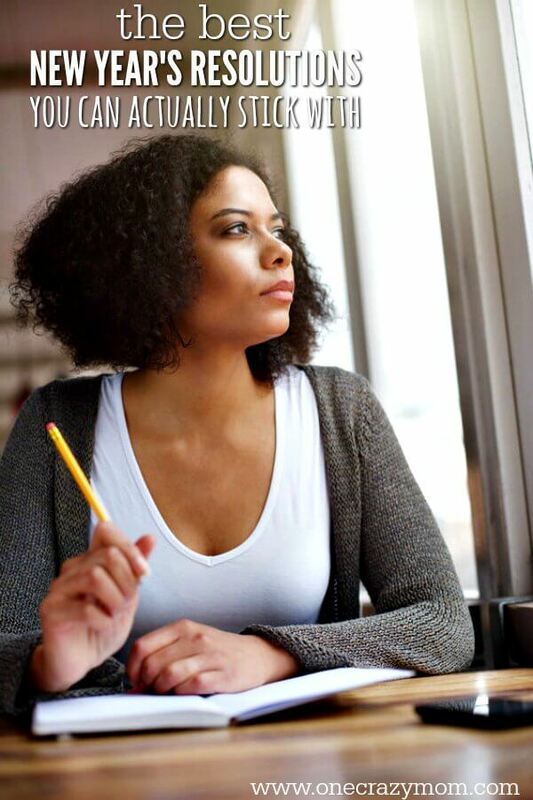 Learn how to be intentional with your actions and set positive goals. Do you like New Years resolutions? Neither do I. It seems like no matter what I resolve, by the end of January (and that’s being generous), I’ve given up on my resolutions. I tell myself I’ll try again next year. 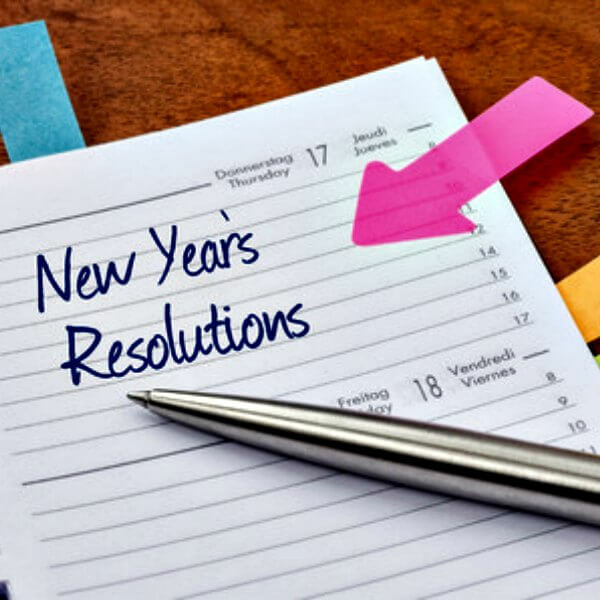 This year, let’s resolve to stick to a resolution with these New Year Resolutions Ideas! There isn’t anything more frustrating than making a list of New Year Resolution Ideas and by February they are out the window. It’s hard to be do it all but I have found by making a few small goals, they can have a big impact. How do you make good New Year’s resolutions? It is very helpful to look at your goals in bite size pieces so to speak. If you make these huge goals that seem hard to obtain, it’s easy to just give up. For example, if you want to lose 50 pounds break it down into smaller goals. You can set several smaller goals that are easier to obtain. Reduce stress by getting enough hours of sleep each night. Research shows eating healthier has long term benefits on heart disease and blood pressure. Skip happy house and use exercise to reduce stress. Plus, this helps with weight loss. You might consider adding meal prep to one of your resolutions. Here are the top 5 New Years Resolution ideas that might just last the whole year through. Make your list and get started knowing that you can do it! Let’s make this new year a good one full of intentional actions and positive goals. Try getting a planner to help with your New Year Resolution Ideas. Another tip that has helped me is get a planner. I usually order one in December for the next year. That way I can begin the new year with a fresh start feeling organized. 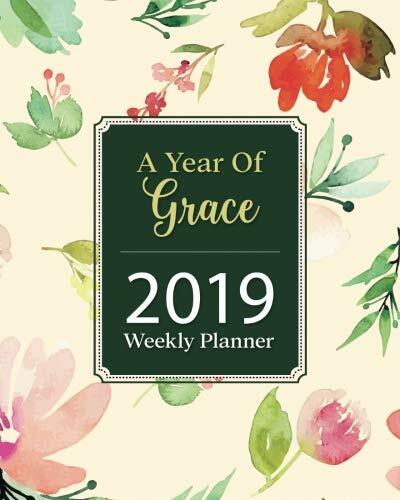 I love this one because it has weekly and monthly calendars. It also has journal pages where I can jot down my New Years Resolution and other ideas I have for the new year. It helps to write it down and put it somewhere that you can see it daily. These planners are just the trick. You can see more planners here. You might even check your local dollar store for calendars and planners. They often have cute ones this time of year. 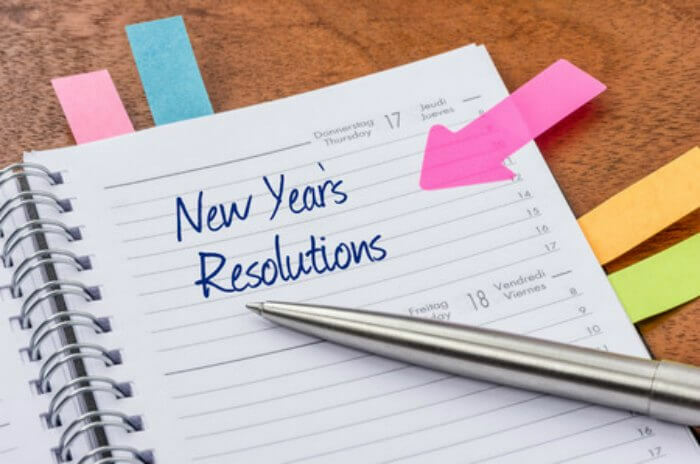 Here are the top 5 New Years Resolution Examples that might just last the whole year through. There is not time like today and procrastination won’t help any of us. Don’t put off what can be done today and you will feel much better having your list all ready to go. What is the most common New Year’s resolution? It seems many people make losing weight or quitting a bad habit at the top of their New Year’s resolution list. While these are common goals, think outside the box. Maybe saving money is your top resolution or wanting to spend more time with your family, make it happen! 1. Focus on the positive, not the negative. So many resolutions are to stop doing something (no more eating sweets etc), and that negative slant just gets you off on the wrong foot. If you deprive yourself of sweets, what do you think about all day? The thing you can’t have. Instead, focus on the positive. Perhaps your resolution could be to eat a fruit or vegetable with every meal or to compliment one stranger every day. 2. Work toward a long-term goal. What is something you want to do that feasibly could be accomplished within a year’s time? Maybe you want to write a book. Set mini-goals for yourself, such as by January, you’ll have the bulk of your research done. By February, you’ll write the first 5 chapters. You get the idea. Little is more cathartic (for me, anyway) than getting rid of things my family no longer needs and organizing the things we want to keep so they are easily accessible. Give yourself the year to do a total overhaul, and tackle one area of your house at a time. Start with the easiest (perhaps the kitchen) and work your way up to the hardest (the dreaded basement). Many people want to get their finances in order, and the best way to get on the right track is with a budget. Starting a budget doesn’t have to be overwhelming. Once you get going, you’ll be surprised at how simple managing your budget can actually be. It might not always be easy but it will be worth it. Money causes so much stress and by having a written plan, it will greatly alleviate much daily stress on yourself and marriage. With all the technology we have access to, it can be hard to put down your phone and be present in the moment with your family. A great place to start is putting away your phone and tablet from the time your kids get home from school (or you get home from work) until after bedtime. After just a couple of days, you’ll notice how much you were missing when you were splitting your focus. Technology is so prevalent and ever pressing. By stepping away, you will see so many things you probably weren’t even aware of that you were missing each day. New Year Resolution Ideas shouldn’t be the next big fad! They should be reasonable changes you can implement that will have a lasting impact long after 2019 is behind you. Let this be the year you keep your resolution! I know we all can do it 🙂 So sit down and make your list and get started! This new year will be great. Give these unique New Year’s resolutions a try! Whether you are looking for resolutions for yourself, new year resolution for students or perhaps your family, there are lots of ideas to try. If you have any creative New Year’s resolutions to add, please let us know. I’m so excited to make my list and make this year a positive one! Here’s to the New Year! We also have New Years Eve party ideas for kids that are budget friendly and sure to be a blast! So I don’t get stressed I make mine to better myself every year and do little things to help.